Many organizations find it hard to engage their people in learning. Ninety percent of new skills learned in training are lost and forgotten in under a year. The average total loss to business from ineffective training is $13.5 million per year per 1000 employees, and forty percent of employees with poor training leave their jobs within the first year. Businesses with a strong learning culture enjoy employee engagement and retention rates around 30-50% higher than those that don’t. One of the easiest ways to make your learning more effective is by adapting game techniques. 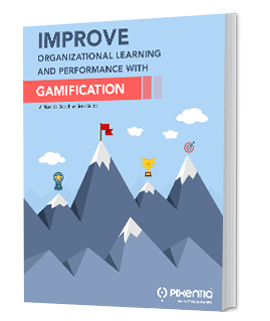 Gamification in learning can help you translate the most boring content areas into experiences that your employees can retain and apply them into their day to day work. Offers your learners a safe and risk-free environment where they can have the freedom to fail. So, when mistakes happen, they don't result in a loss of revenue. Provides frequent feedback on their actions and interactions. With that, your learners can analyze mistakes, learn from them, and avoid them on the job. Enables your learners to think creatively, stimulated by interactive challenges. 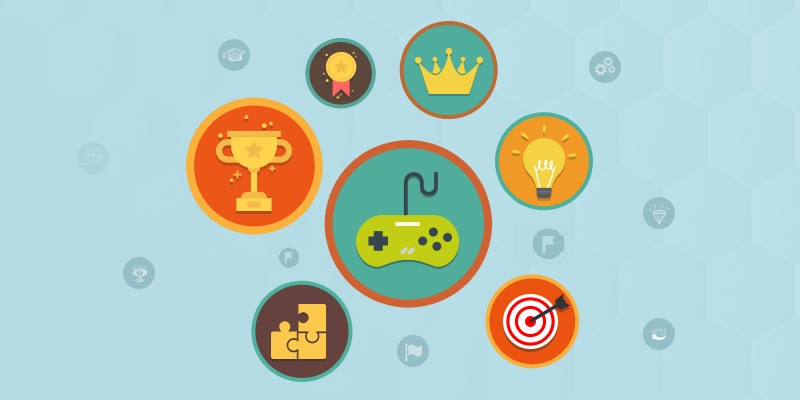 How does gamification drive participation and engagement? Game-based learning has been emerging as an alternative to traditional classroom instruction. Its ability to improve the speed and quality of corporate learning is becoming apparent as both large and small companies adopt it. Implementing gamification in your training needs clarity on your learning curriculum, objectives, and your audience interests. When implemented well, it can drive optimum results. Unless your sales training engages your team, it could not grow your sales. Gamification not only engages but also drives participation, influences behavior helping them to take the right action in the most common and unpredictable situations they often face on the sales floor. Long theory concepts can be turned into short snippets covered in each level with rewards, so it sustains interest and enjoyment. Learners can choose the scenarios they want to deal with and interact with them multiple times to gain expertise. Collaborative games or gamified quizzes and scenarios can improve team skills and negotiation skills, which could seem dull when not gamified. Gamifying your skills training can help your people stick with training. By avoiding boredom, gamification can drive learning outcomes. Skill-building that involves many learning sessions can lose learners’ attention. Gamification can overcome it with interesting levels, characters, and avatars that draw users back to learning. Timelines and timers can push learners to finish tasks. Rewards and leveling up can act as incentives to learn more and make learners come back for more. Gamification is not a solution; it’s a platform – or you can think of it as delivering content to make it more engaging. Coupled with disciplined behavioral targeting and spaced repetition, it looks like a powerful tool. Gamify and make learning an activity your people will look forward to.